In a time when many women feel lonely and isolated, Girls' Club calls us to embrace the delight and comfort that can be found in life-giving friendships with women. The Clarksons call us to cultivate relationships with others that offer emotional affirmation and acceptance and also inspire, educate, and stretch us to live out our God-given potential. Through stories and encouragement, they explore the power, difficulties, beauty, and satisfaction of connections among women. 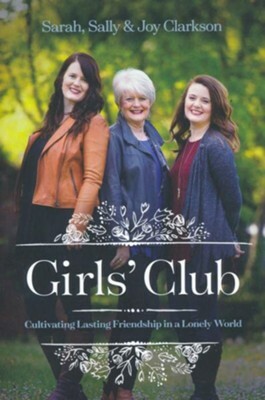 In a time when many women feel lonely and isolated, Girls Club calls us to embrace the delight and comfort that can be found in life-giving friendships with women and to cultivate relationships that not only offer emotional affirmation and acceptance, but also inspire, educate, and stretch us to live out our God-given potential. Told through stories and encouragement based on the authors experiencesSally, a seasoned mother and well beloved author; her daughter Sarah, an Oxford scholar and new mother; and her youngest daughter Joy, a professional young woman pursuing her doctorateGirls Club will speak to the importance of cultivating deep and lasting friendship at every stage in life. Join Sally, Sarah, and Joy as they explore the power, difficulties, potential, beauty, and satisfaction of friendships that help us live purposeful, Godly lives and that satisfy our longing for meaningful and intimate companionship. 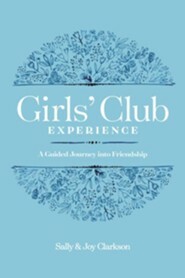 Also available: The Girls Club Experience (9781496436115), a companion guide to help women plant and deepen the roots of friendship. Told in three alternating voicesthose of missionary Sally Clarkson (Own Your Life) and her daughters, Sarah (Read for the Heart) and Joythis book of welcoming advice extols the power of female friendships and the grace of Gods love and mercy. We are bonded together by Gods lovethat wonderful power that made and loves us all, Joy writes. Lessons are mostly grounded in scriptural passages but are not overly preachy. You are never alone in this great work of friendship; God is always first, loving you and filling you in such a way that you can reach out to others, Sarah counsels. Sally asks: What does community looks like? And how does one learn to create it? Ive been learning that community can be boiled down to three powerful words, the same ones Paul chose to end his famous description of enacted love in 1 Corinthians 13: faith, hope, and love, she notes. But creating these communities doesnt start by accident, she writes. Deep, long-term, soul-satisfying friendship takes hard work, the authors argue, and they offer practical advice on how to become a reliable friend (stay in contact), meet a friends needs (stick to commitments), and champion faith, truth, and integrity. This wise book provides Christian women with a sensible road to creating a loving, faith-filled community. I'm the author/artist and I want to review Girls' Club: Cultivating Lasting Friendship in a Lonely World, hardcover.